Are you visiting Korea for a long or short period of time and you feel going out to eat would be very expensive? Grocery shopping would be a very good substitute. Grocery shopping in Korea is exclusively necessary for visitors visiting Korea for the first time though it may seem tasking, you do not need to fear what you have not tried. 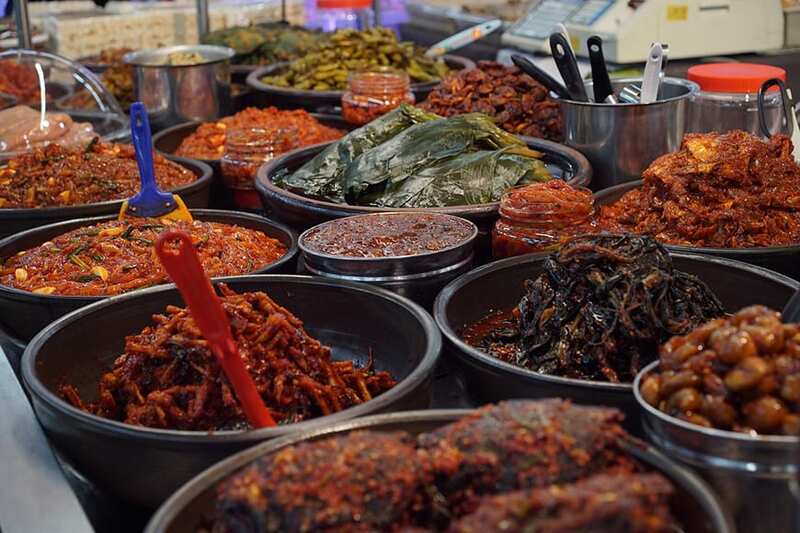 This article has been constructed to let you know that grocery stores in Korea are not really as scary as it may seem, but are absolute places you need to visit as foreigners. We are going to expose you to little things you need to know before paying a visit to a grocery stores in Korea. There are a good number of large grocery store chains in Korea where you will probably do the bulk of your shopping. These include Emart, Homeplus, Lotte Mart and Costco. These are large grocery stores that sell a vast variety of food and household items. These chains also have smaller stores which are called express marts which are spread throughout Korea. it is not always possible to find absolutely everything you want at these grocery stores, but they do hold a lot. their selection of products is also continuously expanding, which makes grocery shopping in Korea much simpler. E-mart is the oldest and largest discount store chain in Korea with total sales volume exceeding US$9.4 billion in 2009. E-mart is one of the two major brands off the lips of expats as the one-stop shop that offers everything from food to clothes to diapers, it also provides a very large variety of merchandise. E-mart has a website, where by products can be bought and viewed online. For those who hunger, but don't speak Korean: Both chains style food courts with numbered "mock dishes" on display (occasional English translations). Go to the cashier and place your order. E-Mart is another discount chain in Korea. It is the largest chain in Korea and is supposedly cheaper and less crowded than Lotte Mart. The most accessible outlet from the city centre is the Yongsan Branch. 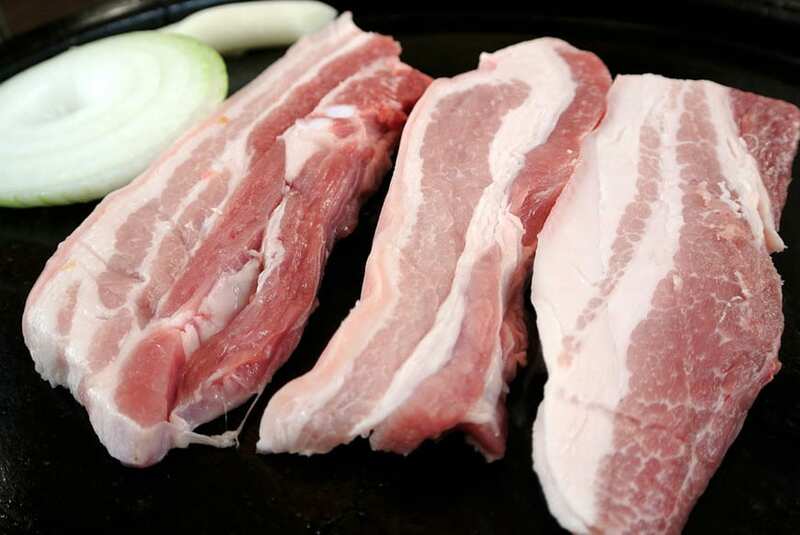 Try Smoky Bacon Chips and Rice Krispies! Check out their tea section as well for soothing Korean citron tea. Do bring your own bag as E-Mart does not provide plastic bags. Homeplus is the second largest retailer in Korea. Homeplus is also one of the two major brands off the lips of expats as the one-stop shop. it operates its hypermarkets, super market chain 'Homeplus Express', convenience store '365 plus' and online shopping service. Homeplus stores offer everything from groceries to clothes and appliances. Home Plus is a discount chain owned by Tesco, and their most central outlet is the Dongdaemun branch. It’s a wonderful candy land with a huge section filled with rows of tiny candy sachets. You can also purchase makgeolli (a subtly sweet alcoholic Korean beverage) or even pre-packaged Korean foods such ramyun, soups, or sauces so you can have authentic Korean food back at home. Lotte plaza is like Emart with a department store and movie complex. some Lotte stores are just super-grocery store with some household appliances. it has a department with slightly larger array of digital cameras and computers/accessories, than Emarts & Homeplus. If you do not want to feel like a Damsel in distress, i have good news. Some of the Lotte stores have their aisles translated in English. korea snacks lotte marketLotte Mart is Korea’s top discount store which sells everyday essentials, clothes, and lots of SNACKS! The most popular and easily accessible outlet for most tourists is the Seoul Station Branch. They even provide tax refunds! Here’s where you can stock up on all things delicious like Honey Butter Chips, Market O’s Real Brownies, Crown Butter Waffles and crispy seaweed. The selection is humongous and you will find everything you can dream of and more! If warehouse shopping is the home you are looking for, Costco is your deal. The prime difference is that you will see more Korean products, but it also houses a few American ones too. There are other various Grocery stores in Korea, but stated above are the most recognized. There are vast amount of products you can kind in various grocery stores in Korea, and we will be identifying 13 unique products you may come across. Acknowledged for high quality, Korean sanitary napkins are what all ladies must bring back home. Look for them at convenience stores and grocery stores. Sometimes you can even find sanitary napkin vending machine inside the public restrooms in subway stations. Koreans love these instant noodles called ‘ramyeon’, after rice. They come in various kinds and tastes and they are extremely convenient because it takes less than 5 minutes to cook them. They also come in a cup-type but we recommended you buying a pack or a 5-in-1 pack since cup noodles take a lot of space in your carrier. One of the things many foreign visitors in Korea bring back home is, of course, Korean alcohol. Soju and Makgeolli are relatively cheaper than those outside the country. So try to fit one of these bottles into your carrier no matter what! As one of the 10 food items to enhance the immune system, Korean red ginseng or ‘hongsam’ in Korean, is very popular among foreign visitors. They are expensive but worth buying it as a gift for significant ones back home. The most famous Korean red ginseng brand is called “Cheongkwanjang” and it also runs a spa named “Cheongkwanjang Spa G“, where you can experience a premium red ginseng therapy and massage. For details and directions, click here. If you want to find out more about this wonderful spa, check out Travel Review & Tips: Korean Red Ginseng Treatment at Cheongkwanjang Spa G.
‘Gim’, or a paper-like dried seaweed with a bit of salt sprinkled and spread with sesame oil, is full of calcium, vitamins and carotenes. Inexpensive and with relatively little weight, many foreign visitors take the delicious dried seaweed home. Once you try Korean snacks, you will definitely want to share them with your friends and family back home. If you want to know which are the most popular snacks, simply go grocery shopping at any grocery shop near by. Whether you’re in Seoul or anywhere else in Korea, you will be able to find plenty of ready-to-eat foods such as soup in a packet and packaged rice since most of the Koreans live busily. Get one of these at the grocery stores and enjoy Korean meal when you are back in your country. Get one of these tumblers with Korean traditional design. They are the most practical items that you can use in your everyday life. You can easily find these Korean-style tumblers at gift shops in most of the museums such as the National Museum of Korea. You can pick up soy sauce anywhere, but hit up the korean market for your sesame oil. The Kadoya brand in particular is my favorite, and I can only find it at Korean markets. I've tried other brands, but this one is the best. Pure sesame oil is the base of a lot of Korean dishes, and along with soy sauce and vinegar, it forms the holy trinity for easy dipping sauces. Gochujang, or Korean hot red pepper paste, is a must-have condiment if you like your heat with a hint of sweetness. 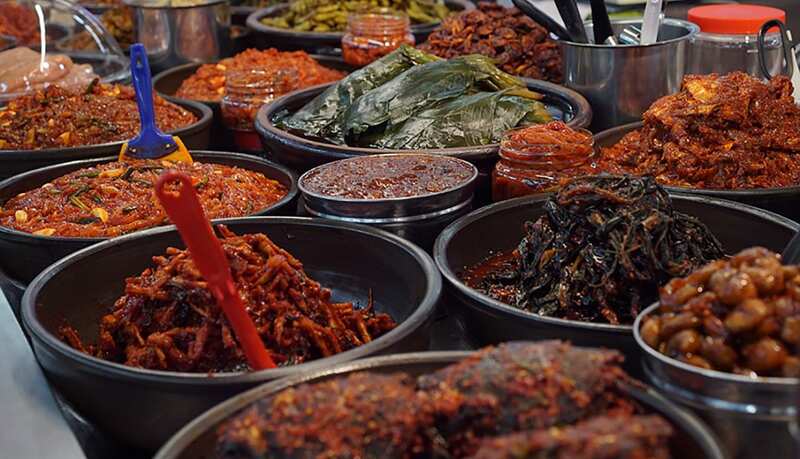 Although often used in Korean dishes, gochujang can be added to sauces, soups, and stews for added heat and flavor. Keep a tub in your fridge and reach for it anytime you need to give something a peppery boost. When I need quick and easy comfort food, I pick up a packet of curry powder and make Korean curry rice — a homey dish of meat and vegetables, stewed in a light curry sauce, and served over rice. Having a few of these packets on hand means a dinner that I know everyone will eat is possible from things I already have on hand. Chances are you'll find the best price on buckwheat noodles at an Korean market, plus a few varieties that allow you to buy them as thick or thin as you want. A must if you're gluten-free, these noodles make weeknight cooking from the pantry a breeze, whether you're cooking an Korean-inspired dish or otherwise. Perfectly portioned for snacking, pocky (or chocolate cream-covered biscuit sticks) are what I reach for to satisfy that 3:00 p.m. hunger. They come in an assortment of flavors, which gives you an excuse to buy them by the bunch (for research, of course). They're a tasty treat to break out if guests come by. I'm currently addicted to the matcha-chocolate flavor. If you do not own a car, grocery shopping could be very challenging as you have to carry everything you buy back to your home on public transport (Taxi, Bus, Subway, etc), walking, or biking. while some stores will provide plastic bags for free, others charge a small fee per bag. Some store bags can be reused as general trash bags, check the bag to see if it is district-specific. That being said, it is advised to take bags along with you. if you shop at a super market like Emart, they usually provide boxes, tape, and scissors to package your purchases after checking out. Some individuals feel going to a grocery store is stressful or inconvenient for them, i will suggest visiting an online grocery store to such persons in this particular category. There are numerous amount of grocery stores in Korea online, different online stores with different specialty, but i always recommend "G-MARKET" to people especially foreigners visiting Korea. G-market is the No. 1 shopping site in Korea, foreigners will find it very convenient to do all their grocery shopping there. the website can be presented in different languages all you need to do is to select your preffered language and there you go! you can access all your grocery needs, their products also come with amazing discounts. You’ve just arrived and what is the first thing to do? Buy toiletries and essentials of course! Here are some differences between Korean grocery stores and for example American grocery stores, and tips to navigate them. When getting a shopping cart, they will be chained together. The only way to take one of these carts is by putting a 100 won coin into the handle. No worries–once the cart is returned, so is the coin. Service is a very big thing in Korea. Service means that, to promote a certain product over another, the company throws in something extra for free. It’s not uncommon to walk around the store and see a box of tea taped to a mug or have a woman bring you over to give you items for free. Not all of the service makes it worth it, so pay attention to quantity and price, and then focus on the service deals. Speaking of women grabbing you and selling things, something guaranteed to be seen in a Korean grocery store is women in the various sections trying to sell specific wares or just help customers find what they are looking for. Even if you don’t speak Korean, it won’t stop them from selling you what they have. It can be hard to get away, so don’t be afraid to say no if you are genuinely not interested in their product. If looking for something specific, you may find yourself completely lost. Don’t be afraid to ask one of the many ladies, however, expect the possibility that if you ask in English, many women will ignore your request and keep selling. This doesn’t mean give up. Eventually, someone will understand and help. You can also look up how to say what you’re looking for in Korean. If you are extremely attached to certain brands, it may be a disappointment to find that many of the brands stocking Korean shelves are, in fact, Korean. So, if no other brand will do, be safe and bring enough for the duration of your stay. However, if you’re willing to try new stuff, you may find some great smelling body wash or a new fantastic brand of tea. BYOB, better known as Bring Your Own Bags. In Korea you have to bring your own bag or else you’re carrying everything home in your arms. Buying plastic bags is an option, as is buying a reusable bag, and a very popular method for large amounts of groceries is the free cardboard boxes you can use to carry purchases home. The most important thing about shopping in Korean grocery stores: everything you bought must come back with you. This means a possibly lengthy travel on the subway among crowds of people, walking back to your home, most likely uphill at some point. So plan on several trips or bring friends. Seoul is a paradise for shoppers, so much so that it’s easy to be overwhelmed when picking a place to go shopping – with so many choices, how do you narrow it down? To help you out, we’ve scouted the best shopping streets, malls and markets in Seoul and found out what they are best for (clothes, cosmetics, souvenirs, etc.). On top of a heavy wallet, bring along some shopping bags and get ready to fill it up. You’re about to step into a shopping heaven unlike no other! The four popular stores are; Lotte Mart, Gwangjang Market, Home Plus, E-Mart. Details of others are explained above, and below is the details of Gwangjang Market. Now here’s a super retro market. Gwangjang Market first opened in 1905 and is the go-to place for wedding food. 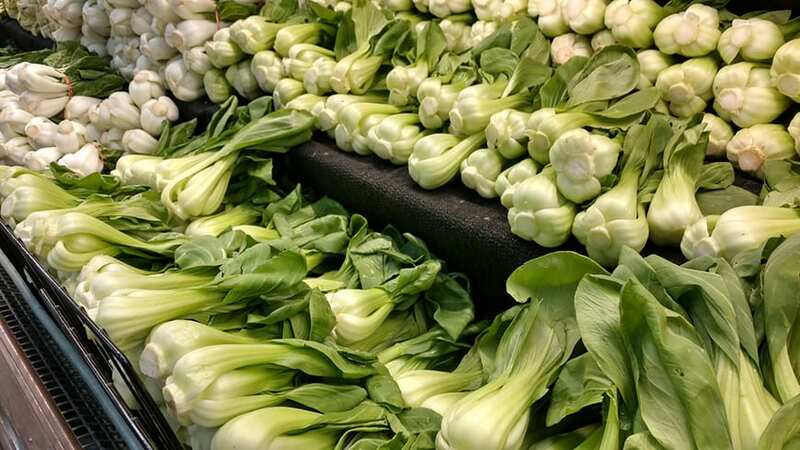 Even if you’re not marrying a Korean oppa anytime soon, you still purchase local FOOD! I always want to visit Korea. Thank you for sharing the interesting post, I have never seen this information anywhere. Awesome, we totally recommend visiting Korea!